Welcome! 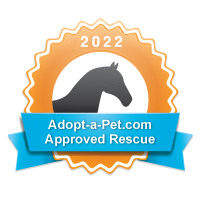 - Equine Rescue Resource, Inc.
At Equine Rescue Resource we rescue and rehabilitate equines with the goal of finding them safe and loving homes. Our interest is the best interest of the animals! We are a 501(c)3 non-profit organization and run entirely on donations and volunteers efforts. For some ways to help, check out Make a Difference!, ERR Gear, and Adoptable Horses! Although monetary donations are appreciated we accept donations in the form of your time and help with grooming, cleaning of equine spaces, and even hosting fundraisers on behalf of our animals. Each adoption opens up space and resources to help another animal, so if you are interested in one of our horses you can find our policies, applications, and pictures of all our equines on our Adoptable Horses page! The rescue and our residents would like to thank all of our volunteers, adoptive homes, foster homes, supporters and friends. Without you, there would be no rescue. Without you, we would not be able to continue our life saving work. We are thankful, and grateful, for each and every one of you. Use this Amazon Smile link when you shop online, and Amazon will donate to ERR! Quick, easy and at no additional cost to you. Equine Rescue Resource Inc. assisted horses and horseman at Cedar Lane Stables, in cooperation with the New York City Department of Parks and Recreation during 2012 and 2013. We were deeply honored to be invited to their Urban Parks Service Awards & Graduation Ceremony on June 20, 2014. Our own Colleen Segarra and Sade Conway were presented with the Urban Park Service Award for their efforts. We wish to thank PEP Sgt. Robin Wickert, who received the Honorable Service Medal Award, for going above and beyond to reach out to the rescue community to ensure the long term welfare of New York City horses. ERR attended the Investigating Animal Cruelty Workshop at the Orange County Sheriffs Office on May 20, 2014. It was educational and informative. Thank you to NYSHA, the OC District Attorney and the Orange County Sheriff for a great workshop. ERR is now on Facebook!